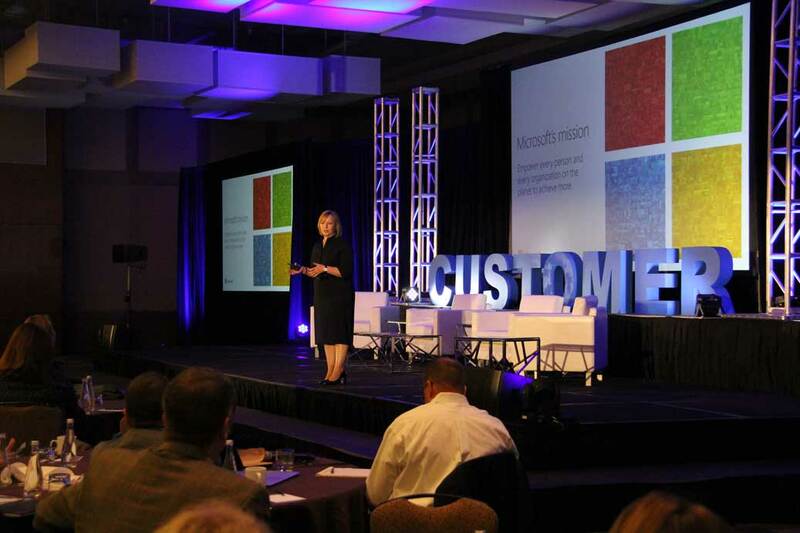 At Microsoft, we took a step back to have a worldview on the impact of digital disruption. We are looking at how the intelligent cloud and mobile are changing how customers want to interact with companies. We are looking at ways to support customers who are using multiple, interconnected devices and how to help them with problems that potentially span multiple brands. We are also considering how customers are much more dependent upon us in a server-less world to ensure their business continuity as well as how we can help them achieve more with our technologies. Regardless of the changes in technology available to us, and regardless of the world digitally transforming, when it comes to customer support some things remain the same. First and foremost, we would all prefer than customers never experienced problems and so had less need to contact Customer Support. Understandably, customers would prefer to avoid problems altogether and when they do have them, most would prefer to self-solve as the first step and want us to make it easy for them to do that. We initially focused the first phases of our digital transformation on ‘Shifting Left’. Commonly known in the service and support industry, Shift Left strategies focus on moving issue resolution as close to the customer as possible, and we are doing that through resolving issues before they happen and providing improved solutions to self-solve. AI and machine learning provide the foundation for our Shift Left strategy and I truly believe the potential for what we can achieve is only limited by our imagination. Virtual agents are not new, but the machine learning and natural language technology behind them is significantly improving the value we can offer customers during self-solve scenarios. The customer experience is at the forefront of our digital transformation and we want to provide customers with support how and when they want it. If, during their interaction with our virtual agent, a customer decides they would prefer to connect with a live agent, they can seamlessly switch at any time. Our virtual agent then takes on a supporting role to the live agent, providing all of the details the customer has already shared about their problem and offering additional solutions. The agent can then rank the quality of the recommendations and/or add their own, thereby continuing to teach our virtual agent and making it more valuable for the next customer. We are progressing well on our digital transformation journey. Customer support scenarios, one by one, are being streamlined or automated with AI and machine learning being applied. What is most exciting to see is that with the time we save, we are able to add value to some of our customer interactions by conducting what we call ‘Achieve More’ conversations, helping customers get additional value from their Microsoft products and services. In our pilots, we see a significant increase in customer satisfaction on cases where we have this additional conversation and in many cases we also see increased consumption of our products and services. Our digital transformation is a journey towards creating a world class support experience that delights customers and creates fans. By Shifting Left to reduce volume, we are able to focus on the more complicated support scenarios, providing our customers with more value and helping them achieve more with our products and technologies. Whilst our journey may take different paths and we will have lots of learnings along the way, one constant will remain the same – our customers will always be at the centre.